Loleta Powell of Powell's Iris Haven in North Carolina registered this sport of H. 'Christmas Tree' in 2000. It forms a medium to large size (20 inches high by 30 inches wide) mound of heavily streaked foliage. The leaves are moderately corrugated and have good substance. Medium lavender flowers bloom in late July followed by viable seeds. 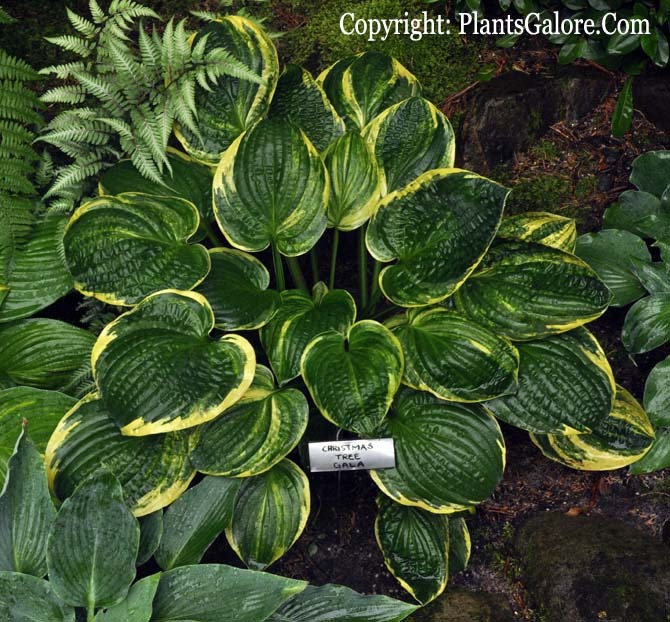 The New Encyclopedia of Hostas by Diana Grenfell (2009) states: "Slow to moderate growth rate. 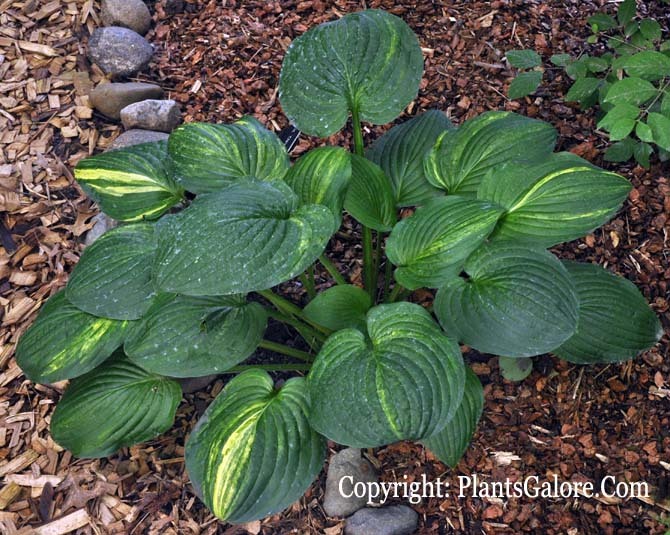 More suitable as a garden plant than some streaky-leaved hostas. 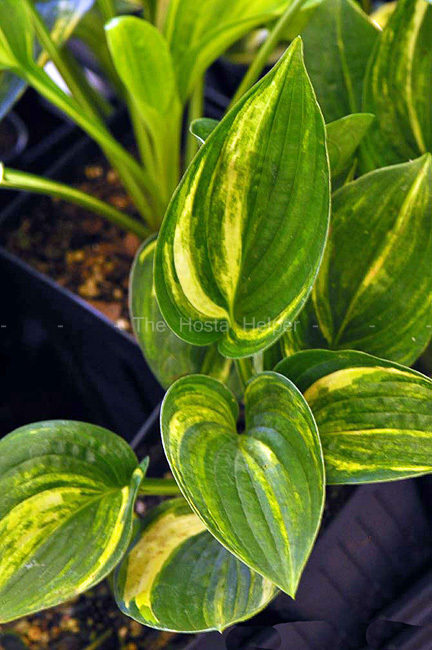 Is a well-regarded breeding plant for variegated seedlings."